California has been experiencing drought conditions for over a year, and now geological monitoring stations show that the drying ground is actually rising up. According to this article by Sarah Zielinski in Smithsonian Magazine, “Measurements of these subtle movements, made using GPS instruments, suggest that the western United States is missing some 62 trillion gallons of water, enough to cover the entire region six inches deep.” Alarming news for farmers and thirsty kitties alike. 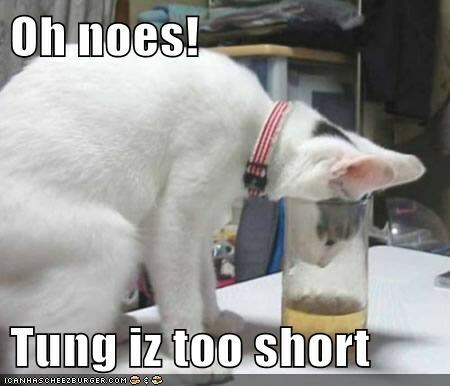 This entry was posted in Science Caturday and tagged California Drought, Drought, Sarah Zielinski, science lolcat, thirsty cat, weather lolcat. Bookmark the permalink.